Why travel to Poland? Read this! - Petry Travel Agency, Inc. Why travel to Poland? Read this! - Petry Travel Agency, Inc. Here is a great list from www.tripsavvy.com of why you should travel to Poland. We could not have written it better ourselves. Poland is such an amazing country with so much history that we decided to team up with Collettebooking.com and make a group vacation out of it. Check our the link at the bottom of this article for all the details! 6 Reasons to visit Poland! The diversity of Poland’s cities and towns means that travelers won’t feel that their tour is a litany of sameness. Each city in Poland has a distinct feel and social culture. From Warsaw’s urban pulse to Krakow’s historic pride, to Wroclaw’s whimsy, to Gdansk’s stately maritime heritage, Poland’s cities distinguish themselves from one another easily. Any tour of Poland should include several cities, as well as towns and villages in between. You will be hard-pressed to determine which is your favorite! World Heritage sites designated by UNESCO preserve cultural and historical artifacts of Poland’s past. These sites make great destinations for travelers to this country; one of the most popular is Krakow’s Old Town, but if you’re in Krakow, it is easy to also see two other UNESCO-protected sites, the Salt Mines and Auschwitz-Birkenau. Others include the wooden churches of southern Little Poland or the Black Madonna of Jasna Gora Monastery. Poland’s most famous composer is perhaps Chopin, whose statue presides over Lazienki Park concerts dedicated to the great musician. But Poland’s music scene ranges from jazz to medieval to opera music, which can be enjoyed in a variety of historic and modern venues in major cities. Outdoor concerts take place in parks and squared during the warmer months, while the church concerts and operas highlight the winter season. Poland’s countryside, the seaside to the north, and mountains to the south provide visitors with a variety of landscapes to relax in. Resorts in the south attract skiers and hikers, while those who want to trawl the beach for amber will have to head to the coast. In between, forests hide flora and fauna and outcroppings and lakesides reveal manor houses or castles. If you love castles, make Poland one of your top destinations. Poland’s castles can be found in various states of preservation, from foundation-only ruins to structures that maintain their original integrity. 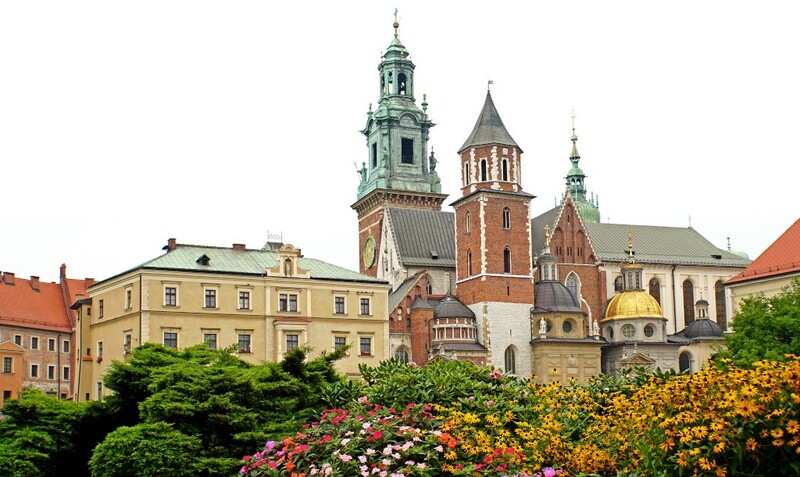 Some castles, such as the Royal Castle in Warsaw or Krakow’s Wawel Castle, can be easily visited. What’s on offer at Polish restaurants varies according to season and region. For example, fish dishes prevail in northern Gdansk while hearty pierogi dishes are prevalent in the south. Autumn is mushroom season, which means that dishes will feature forest-fresh fungi. Polish pastries, from the simplest donut to the most elaborate stacked cake, memorably finish off meals. I’ve been over 15 times and love the place. The cities are the places that first time visitors flock to but the natural beauty of Poland from mountains to sea to lakes is unspoilt and breathtaking !